The Windows 10 Creators update is in full swing and business owners have been soaking in the benefits. The update has been available since April and so far, it is living up to the hype. The update carries on the Window’s 10 mission to make IT more secure and productive for businesses. As professionals become more connected and continue to take advantage of powerful new devices, the Windows 10 Creators update helps business owners keep up pace with digital transformation. It’s no secret that the modern cybercrime landscape requires an ongoing and relentless focus on security – especially for business owners. The Windows 10 Creators Update continues to bring new security capabilities to IT administrators to better protect, defend and respond to threats on their networks and devices. First, there’s the new Windows Security Center that serves as a centralized portal for monitoring, tracking and responding to cybersecurity issues. The Windows Security center allows for one view of all Windows 10 security events making it easier than ever for businesses to keep an eye on network happenings. The Windows Security Center was first released in the Anniversary Update, and links to Office 365 Advanced Threat Protection, via the Microsoft Intelligent Security Graph. This allows IT administrators to easily follow an attack across endpoints and email in a seamless and integrated way. Next, the Creators Update also adds a variety of new actions and insights in Windows Defender Advanced Threat Protection (ATP). These enhancements help administrators to investigate and respond to network attacks, including sensors in memory, enriched intelligence, and new remediation actions. In the modern cybercrime climate, it’s no secret that the methods and means attackers use are increasingly varied, complex and well-funded. Having reliable and powerful threat sensors to monitor network traffic is critical. Because cyber threats won’t stop, Microsoft isn’t stopping either. The Creators Update introduces enhanced Windows Defender ATP sensors to detect threats that persist only in memory or kernel level exploits. 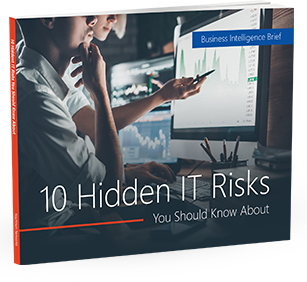 This will enable IT administrators to better monitor networks and detect threats before they become disastrous. Recent Windows developments have already enhanced Microsoft Threat Intelligence (TI), including a recent partnership with FireEye iSIGHT Threat Intelligence. In the Creators Update, IT administrators are given the ability to feed their own intelligence into the Windows Security Center for alerts on activities based on their own indicators of compromise. This added level of insight will enrich machine learning and memory to identify and block malware more quickly and better protect the unique environment of each business. The Creators Update also brings new remediation actions in Windows Defender ATP that will give IT administrators the tools to isolate machines, collect forensics, kill and clean running processes and quarantine or block files with a single click in the Windows Security Center, which further reduces response time. Modern business is defined by anytime, anywhere access. Some businesses have remote employees who work at home or outside the main office. Other businesses have employees who are constantly on the road and still need access to critical network data. Regardless, making sure all team members have access to all the company resources they need is crucial in today’s fast-paced business environment. One of the most important features of the Windows 10 Creators update is the capacity for dynamic mobile application management. The new feature will help professionals protect data on personal devices without requiring the device to be enrolled in an external Mobile Device Management solution. Furthermore, in our device-obsessed world, employees use their own devices at work more and more. The Creators Update provides IT administrators with oversight to apply productivity policies to the applications employees use. This helps keep corporate data more secure and keeps employees focused without taking on the added responsibility of managing each employee’s personal devices. The Windows 10 Creators update implements best-in-class, modern IT tools to streamline business operations and management. While it may be a very exciting time to be in IT, for many business organizations the digital transformation can be overwhelming. For that reason, the Windows 10 Creators Update harnesses the power of the Cloud to bring the very best streamlining tech tools to everyday businesses. Windows 10 alone has already resulted in a 15% improvement in IT management time for IT administrators. The Creators Update further organizes and optimizes resources and moves tasks to the cloud, allowing users to acquire, provision, support, and secure devices more easily than ever. Cloud-based insights with Windows Analytics. Recently released Windows Upgrade Analytics were introduced to help users move to Windows 10 more quickly by analyzing their environment to identify app compatibility, device and driver readiness. With the Creators Update, Microsoft delivers additional resources to the Windows Analytics dashboard that will help IT administrators better manage and support Windows 10 devices. The additions to the dashboard will enable organizations to use their own telemetry to provide new insights and ensure compliance on the upgrade, update and device health processes within their organizations. For some time, Windows Users have expressed the concern that they want to take advantage of new Windows 10 security investments like Device Guard on their existing modern hardware, but many of these new features require UEFI-enabled devices. With the Creators Update, Microsoft has introduced a simple conversion tool that automates previously manual conversion and connection methods. Even better? This conversion tool can be integrated with management tools such as the System Center Configuration Manager. Finally, though consistent Windows updates are beneficial, many enterprise customers have complained about managing the sheer size of the update download. Big updates on an entire network of devices can take up valuable business minutes or hours. Since the Creators Update, Windows 10 updates will now be differentiated for both mobile and PC devices. Additionally, any updates after the Creators Update will only include the changes that have been made since the last update, decreasing the download size by approximately 35%. Microsoft is also working to improve the System Center Configuration Manager express updates to help reduce the monthly update size by up to 90%. No matter the shape, size or industry of your business, the Windows 10 Creators Update offers tools for optimizing digital transformation for professionals. Whether you’re looking to tighten security, better manage your employee devices or streamline operations, the Windows 10 Creators Update has features to make your life easier. Whatever you do, don’t get in the habit of avoiding updates or hitting the “Remind Me Later” button. Staying on top of tech transformations and software updates is critical to maintaining a productive and competitive professional edge. If you’re wondering how to best implement the benefits from the Windows 10 Creators Update, get in touch with a local technology firm for consultation and guidance. Taking control of your company’s technology is easier than you think.